What Is The Heart Mind? 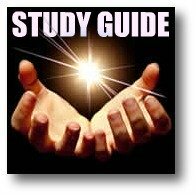 Your source for inspiration, super intelligence, and personal performance! What is your "Heart Mind"? For nearly five thousand years, attention has been focused on the brain as the seat of human intelligence and even consciousness. But is the brain really the most powerful or influential organ when it comes to these most basic and essential of human qualities? 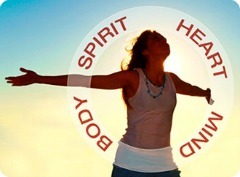 Since 1991, the Institute of Heartmath located in Boulder Creek, Colorado, has been studying the power and influence of the human heart upon the brain and body. What they discovered goes against what most of us were taught to believe by our schools, families, and society. Scientific research reveals that the human heart is thousands of times more powerful and influential than the brain in sending signals and information to the rest of the human body. The human heart communicates with the brain and body using hormones, the nervous system, and an electromagnetic field generated by the heart. 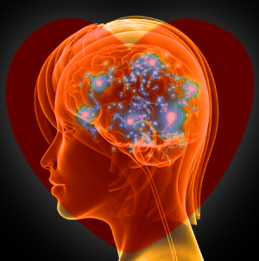 The brain also generates an electromagnetic field, but it is much smaller and much less powerful than the heart field. 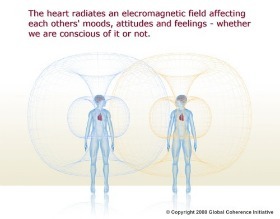 The heart field envelopes the entire body and extends fifteen feet or more out into the surrounding environment. It has been proven that our emotional state has a direct and powerful impact upon the heart, and this impact influences the quality of information sent by the heart to the brain. When our emotional state is one of inner peace, gratitude, contentment, or other positive feelings, the brain receives signals that promote the ability to focus, solve problems, perform physical and mental feats, and that enhance creativity, intuition, and even spiritual awareness. So what does all of this mean for those of us seeking to enhance our mental, emotional, physical and spiritual well being and performance? Perhaps it is time to shift our attention away from the brain, or "Head Mind", to the heart, or "Heart Mind" for a little while and start integrating new knowledge into our awareness of who we really are! The intelligence of the Heart is something that has been intuitively sensed in religious, spiritual, and philosophical societies throughout human history. We are all familiar with the saying, "Listen to your heart". Deep down we all know that the place to look for "inner guidance", "inspiration", "intuition", and "inner peace" is "in the Heart" - not in the head. 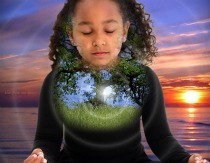 When we seek connection with a Higher Power, God, or Source, we take a deep breath and focus on the Heart, again not the brain. What does this say about the true nature of the human Heart? Is it really just a pump that moves blood through our veins (granted, a vitally important role! ), or is it really more, even much more? It turns out that the Heart pumps much more than just blood. As we mentioned earlier, it also pumps hormones throughout the body that regulate many functions, including thought and perception in the brain. The electromagnetic field that envelopes the body creates a kind of localized environment that has been proven to influence the behavior of DNA in our cells. Most unusual of all, however, is the ability of the Heart Mind to convey actual ideas, information, and images to the brain, where these signals are converted into words, pictures, sounds and other forms that we can use to communicate, create, and relate to each other and our world. How is this even possible? What is the Heart Mind doing when this occurs? What could the Heart be connected to that it is able to access never before ideas and inspiration? That, of course, is the Big Mystery - the question that perhaps has no tangible, objective answer. At least, not yet. Each of us, as we access the Heart Mind and receive this mysterious inner guidance, can experience the true nature of this very real and tangible connection. What is it that we are connected to? We all "know" what it is by direct experience. It is an infinite intelligence, a source of unlimited energy and abundance, a reservoir of so-called "past" experience and knowledge - all waiting for us when we take the time to focus on our Heart and open the gateway to Infinite Awareness. Theoretical Physics - especially Quantum Physics - is beginning to help us understand on a mental level that this infinite field of energy and information really does exist. It is not just an idea, fantasy, or fairy tale made up to explain some personal mental and emotional experience. Using math and technology, scientists are beginning to form measurable hypotheses that can be tested, confirmed, and shared amongst colleagues and the greater population. Much of this research is being conducted at the Institute of Heartmath, but it also taking place at the Resonance Project in Hawaii, The Monroe Institute, and elsewhere. The discovery of the Heart Mind could be the latest and greatest adventure into the study of the true nature of reality. If we can prove that the Heart is connected to a field of infinite energy and information, inner guidance, wisdom, and even inner peace, then just as most human technology has been inspired and shaped by examples in the natural world, the technology of the Human Heart could lead to a new level, a quantum leap, in our technology, our society, and how we live with each other and in our world. Take the time to discover and explore the Heart Mind. Click on some of the links below to find more pages and articles on this site. And when you're ready, check out Metaphysics for Life's Foundation for Creating A Mind With Heart where you can join with others and learn powerful tips and techniques for creating a Mind With Heart.